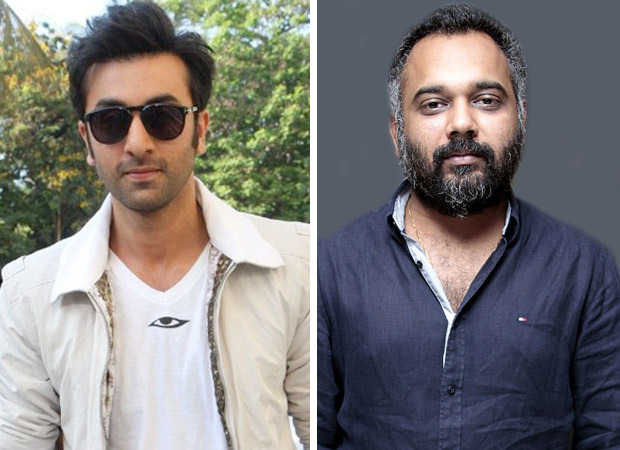 Ranbir Kapoor is all set to re-instate his position at the box office with Sanju. The Sanjay Dutt biopic is his most ambitious film, in terms of characterisation is considered, and he said in every interview how badly he wants it to be a hit. After Sanju, he has Ayan Mukherji’s Bramhastra in pipeline along with Yash Raj Films’ Shamshera with Sanjay Dutt and Luv Ranjan’s next with Ajay Devgn. In an exclusive interview with Bollywood Hungama, Ranbir revealed an interesting detail about his film with Ranjan. He said that not many know but it was Ranbir who chased Luv for a film and not the other way round. Talking to BH, Ranbir said, “I am very excited to work with Ajay Devgn. I have worked with Ajay Sir in Rajneeti before. It is a great opportunity to collaborate with him again in Luv’s film.” Talking further about the movie he said, “It has an amazing script. Luv is incredible and I am a big fan. Am the one who chased Luv for a film and he is the only filmmaker I have done that with.” Luv is the only filmmaker in the recent times who has cracked the code to make a perfect masala film. It would be amazing to see Ranbir and Luv join hands for a movie; we can sure expect fireworks from this one. Written and directed by Rajkumar Hirani, Sanju stars an ensemble cast in addition to Ranbir Kapoor which includes Paresh Rawal, Manisha Koirala, Vicky Kaushal, Sonam Kapoor and Dia Mirza amongst others. Produced by Vinod Chopra Films and Rajkumar Hirani Films in association with Fox Star Studios. Sanju is all set to be released on June 29, 2018.